Easter is around the corner and we couldn’t be more excited! We love the pastel color palette, creating epic egg hunts, and eating our weight in Cadbury Creme Eggs. But, what we’re most excited for is crafting the perfect Easter basket for everyone we love. Most people love to fill their Easter baskets to the brim with candy. Don’t get us wrong; we won’t say no to this option, however we like something a little more practical when it comes to Easter basket ideas. Why not include something you know they’ll actually use longterm? Throw in a skin care item or two for healthy skin all season long! Here are our favorite Easter basket ideas for every skin type. If their skin is free of both dryness and breakouts (lucky ducks! ), you’re looking at someone with normal skin. A light, airy moisturizer would be perfect for them! Extra points if it’s one like our Moisturizing Face Cream, which functions beautifully as a makeup primer. Plus, it keeps their skin looking radiant throughout the day. When you have oily skin, breakouts are no joke. They can strike at any time and can really put a stake in someone’s spring style. We recommend throwing our Clear Face Cleansing Foam in this person’s Easter basket! It’s one of the most gentle cleansers on the market for acne-prone skin. It fights bacterial causes of acne without drying your skin beyond recognition. This lets them enter spring with clear skin. Dry skin needs a little extra love and attention. With flaky patches, itchy skin, and redness, chances are this person needs a little urea in their lives. Urea is a natural moisturizer, and gifting them a face cream with urea as the star ingredient helps reverse the dryness. Our Extreme Dry Skin Relief Face Cream is gentle, effective, and smells like heaven! Working with combination skin can be a little tricky. Do you tailor your skin care routine around the dryness or the oiliness? Our answer: both! If someone has combination skin, give them a cleanser that moisturizes the skin as it cleanses. If it’s pH-balanced like our Liquid Face and Body Wash, it will strengthen their skin barrier and help to balance the skin. It’s no secret that sensitive skin craves hydration. When the skin’s moisture supply is depleted, you’re putting yourself at risk for skin conditions, including eczema, psoriasis, and dermatitis. If you’re putting together an Easter basket for someone with sensitive skin, we suggest including a thick, luxurious moisturizer. Our Hydrating Body Milk is just the ticket. When building Easter baskets, you can’t forget the youngest family members! Babies are not born with a skin barrier, so they need products that help develop their skin’s protective layer. Enter our Baby Cream Extra Soft. It’s incredibly hydrating, creating that protective layer until baby’s skin can fend for itself. A definite must-have! 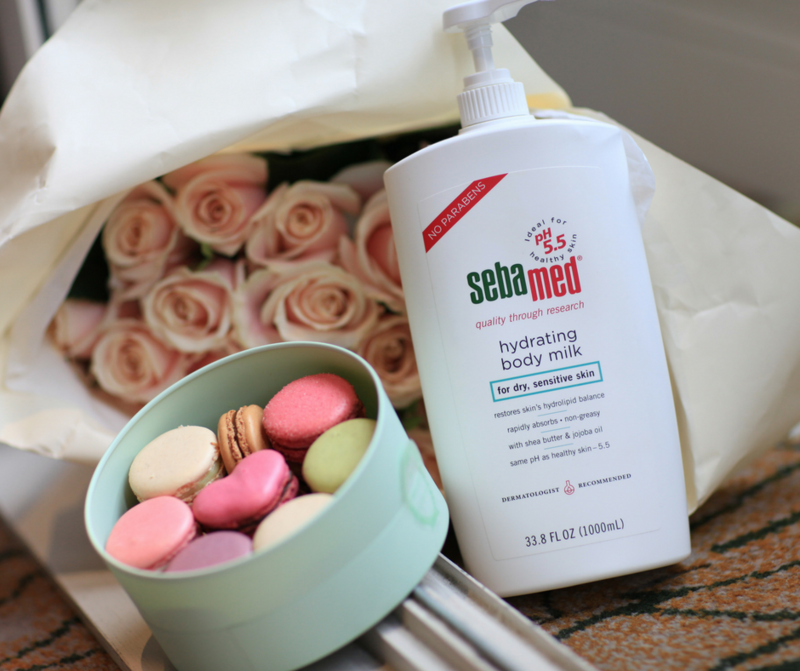 No matter your skin type, Sebamed’s wide range of cleansers, moisturizers, and lotions have you covered. Whether you’re looking for Easter basket ideas or building your skin care routine, you’ll be sure to find something your skin loves. Our mild, pH-balanced formula strengthens your skin barrier with each use. Say goodbye to skin conditions and hello to healthy skin! Check out our complete product lineup here.